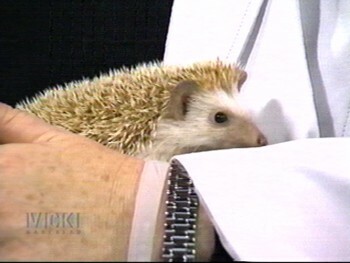 On the 10th of March, 2005, Hedgehog Central had the honour of being featured on CTV TV's Vicki Gabereau Show. 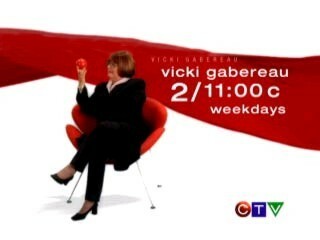 We had to make a very long drive to the CTV studios in downtown Vancouver, British Columbia, but it was well worth it. Chocolate Mint, one of our girls, was the star attraction and she impressed Vicki and the crowd with lots of "Oos" and "Ahs". She was an instant celebrity. At first she was a bit afraid of Vicki, but the two soon warmed up and became fast friends. 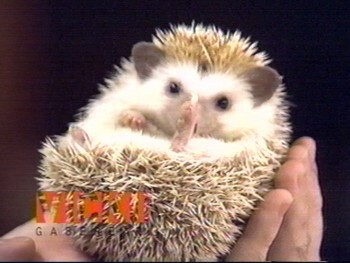 The show has been in rerun across Canada many times since and has helped introduce quite a few newcomers to the joy that is hedgehogs. 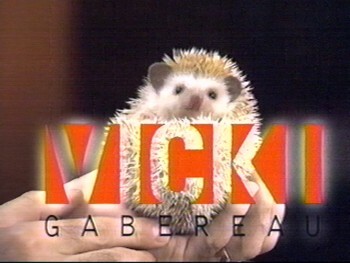 Thank you, Vicki! Chocolate Mint had a great time and especially enjoyed snuggling with you.